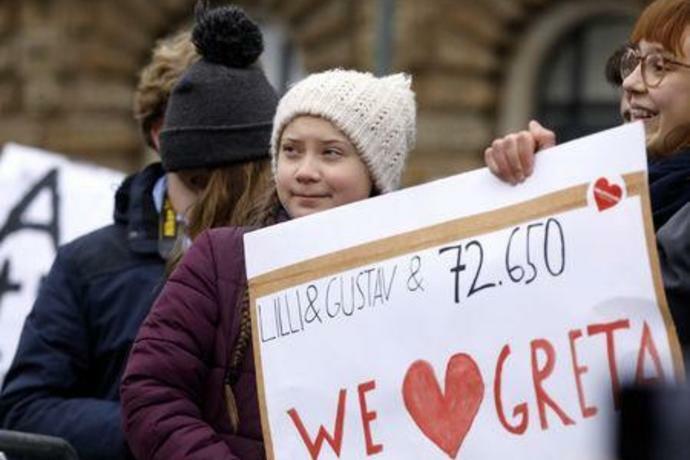 The protest is part of a global movement known as "School Strike 4 Climate" or "Fridays For Future" launched last August when Thunberg began protesting outside the Swedish parliament on school days. 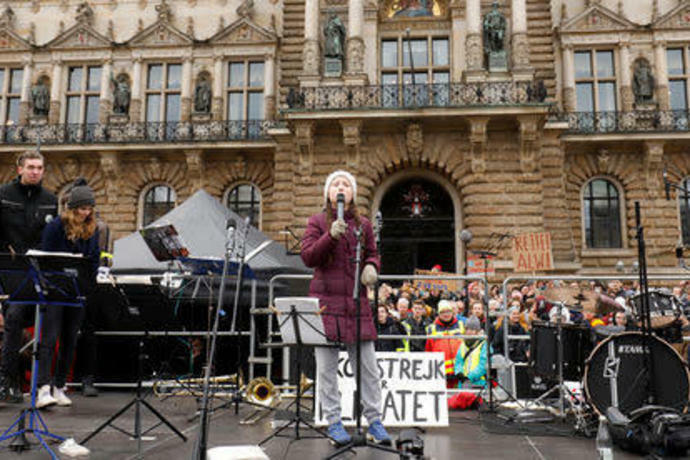 About 3,000 students marched through the streets of the port city chanting: "We are here, we are loud, because you are stealing our future." 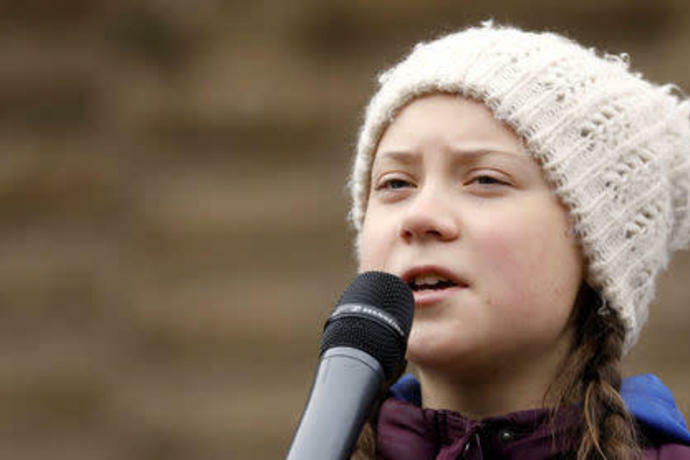 "For way too long, the politicians and the people in power have gotten away with not doing anything to fight the climate crisis. 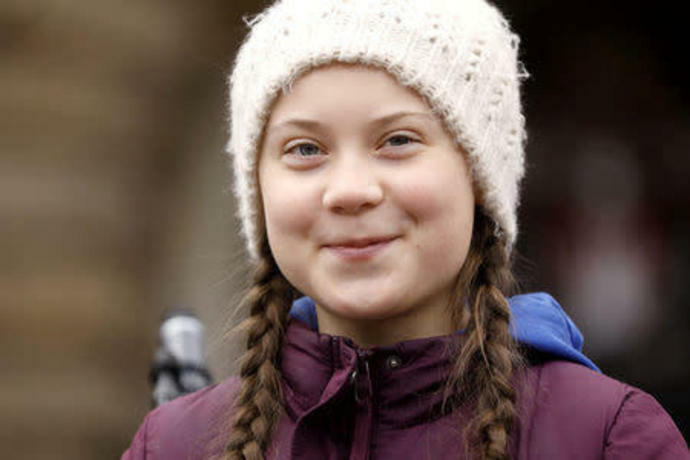 But we will make sure that they will not get away with it any longer," she said. 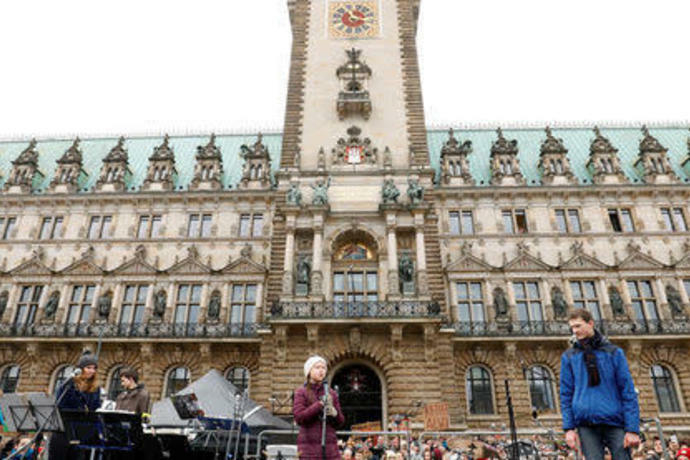 But Ties Rabe, education senator for Hamburg state, said that although he supported the young people's attempts to make the world a better place: "No one improves the world by skipping school". 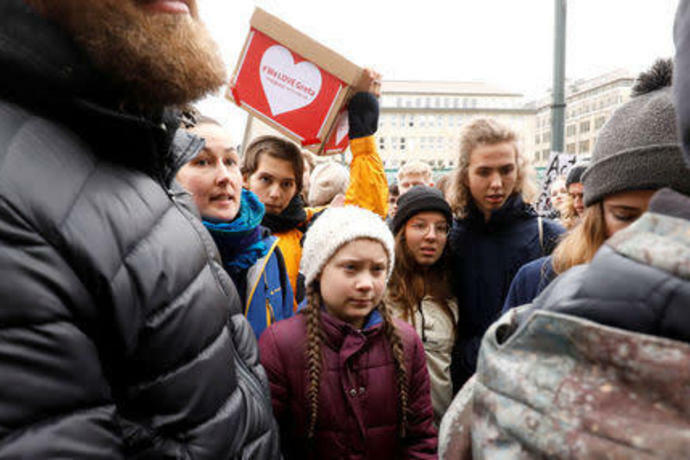 Activists climb atop buses, glue themselves to buildings and block traffic as Extinction Rebellion expands its campaign of civil disobedience. 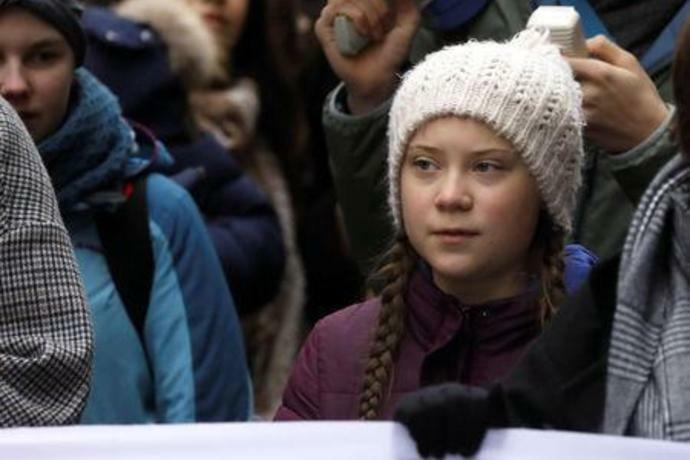 The climate change pressure group has become a household name in Britain this week amid protests that have brought key parts of the capital to a standstill and seen hundreds arrested. 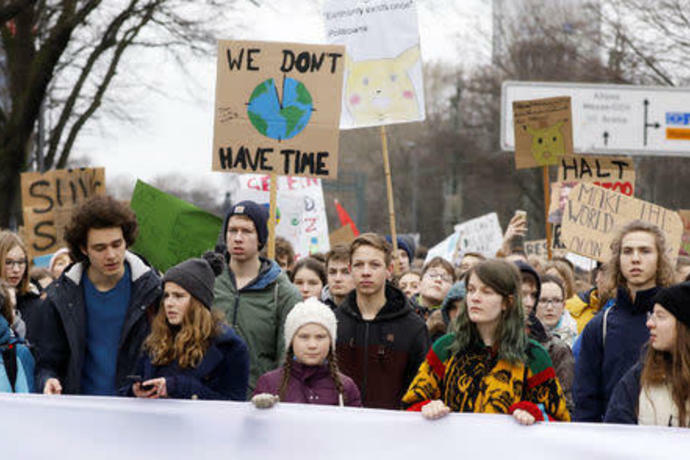 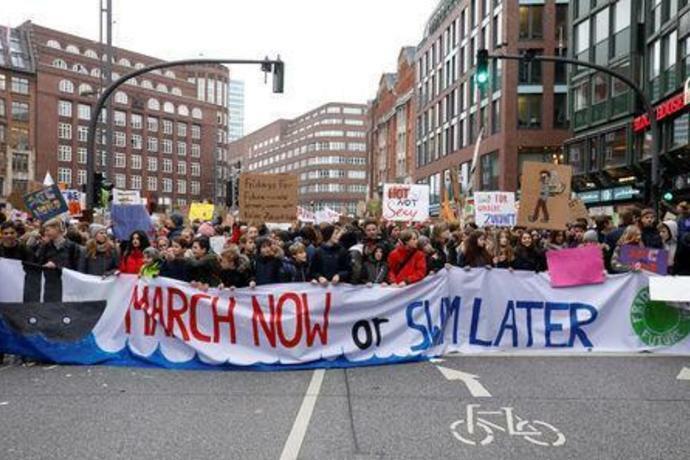 The organisation, formed by academics in Britain last year alongside off-shoots in dozens of other countries, vows an unrelenting tide of protest until governments act more forcefully over climate change.